Let’s hop straight in and see what’s behind door number 6. Earthy + bright, beetroot-based rooibos matcha. Just whisk it – beet it! Ingredients: Beetroot powder, rooibos matcha, lucuma, goji berry, liquorice, blackcurrant. I admit that I have never had a Matcha that’s not an actual green tea base. I’ve had Japanese Matcha, I’ve had Chinese Matcha, I’ve had all sorts of flavoured Matcha…but I have never had a Rooibos Matcha. Technically speaking it isn’t a Matcha. 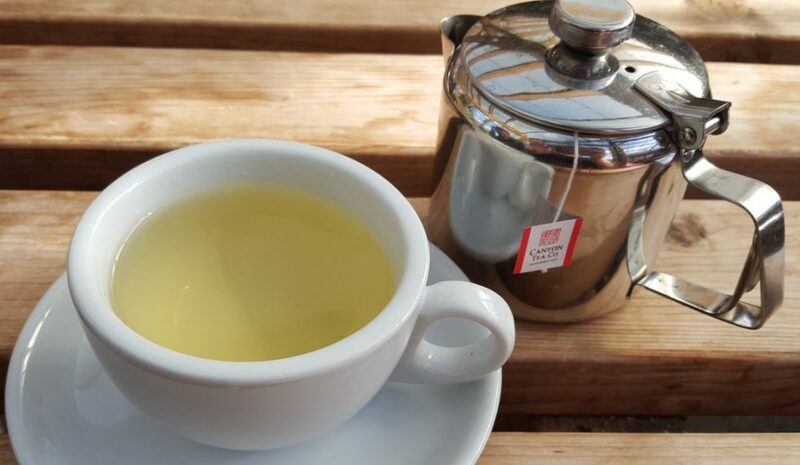 The old argument of a ‘herbal tea’ is actually a ’tisane’ since it’s not a tea at all. Let’s look at the word, Matcha, it’s Mat referring to it’s state ie grind, crush, rub and cha meaning tea. Tea being from the Camellia Sinensis plant. Rooibos is herbal so it’s a tisane, but well what else could they call it? I suppose Beetberry Ground Tisane doesn’t have the same ring to it. Anyway I’ve gone off topic! This browny/red powder bares a scent that immediately bought a familiar vegetarian bacon scent with it. Sort of like bacon crisps if you’ve had those before? Baked and meaty…also like some dog treats my mother gets her dogs. Not the berry bliss I was hoping for. My partner say’s it smells very wheaty. As soon as the water hit the powder the smell of berries was unleashed. It’s at that point my perspective changed and I adjusted my expectations. The colour is blood red with no foam (as it’s not a Matcha) and it smells refreshing and blackberry like. My partner said it’s like cordial, smell wise. He’s a blackberry fan…I’m not particularly. Taste wise it’s fairly mild with liquorice giving a refreshing burst to the blackberries (matching the smell) and the earthiness of the beetroot lingers in the after taste. Some sweetness from the Rooibos but not much. Also rather dry in the after taste. It tastes better than it smells in raw form, but not as juicy and delightful as the smell once prepared. Either way it doesn’t taste like veggie bacon so I suppose that’s a win. Not something I would drink again if offered but I can see why people may add this to smoothies or yoghurt. Until tomorrow, join me to see if it’s a Matcha or a tisane.